Buy 10 or more for $2.24 each. Stick plaque for small space decor, a rustic simple accessory with just the right wording. 6" x 1.5". Handcrafted in the USA. 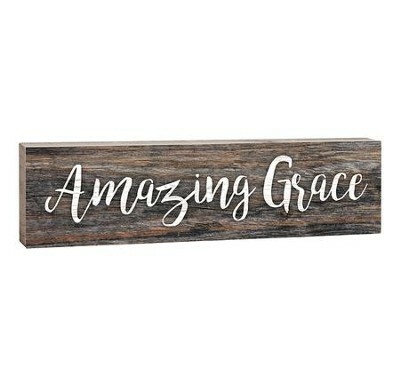 I'm the author/artist and I want to review Amazing Grace, Stick Plaque, Small.